For those of us suffering with smaller phone books, drilling through the spine of the darn things can be downright tricky, if not almost impossible. 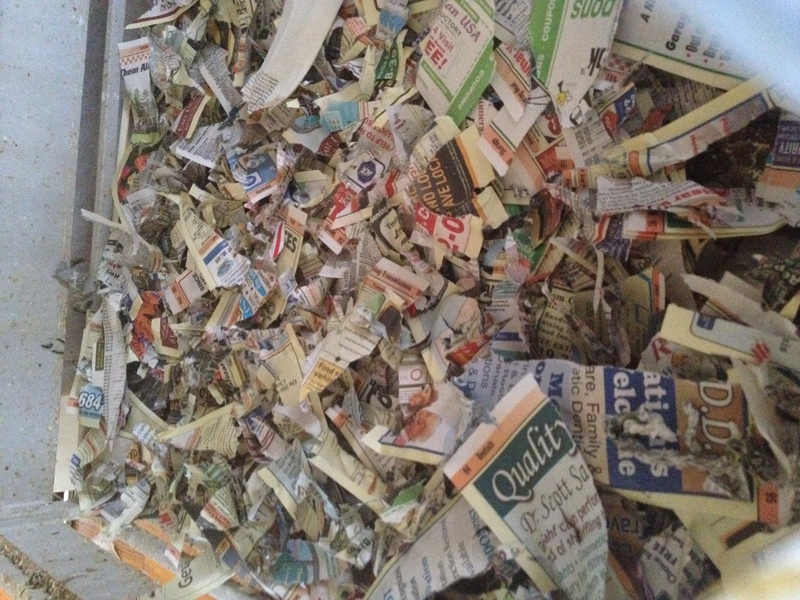 Well folks I’ve found a solution to all your phonebook woes. Thanks to the Facebook group The Parrot’s Workshop for providing this idea. 1. Go to your closest hardware store and purchase your supplies. I bought enough hardware to make 3 of these toys, and I believe the grand total was around $5, or perhaps a little over. I found all my supplies at Home Depot. 2. Drill through however many phonebooks you can thread onto the bolt. I did 3 smaller size phonebooks per bolt. 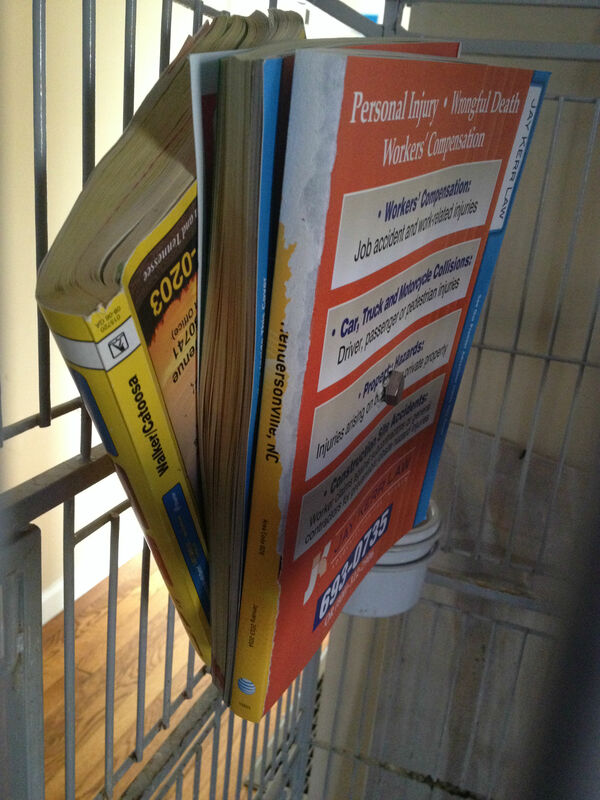 I recommend drilling through the MIDDLE of the phonebook – it is a lot easier than attempting to drill through the spine. Remember to drill on a hard surface. 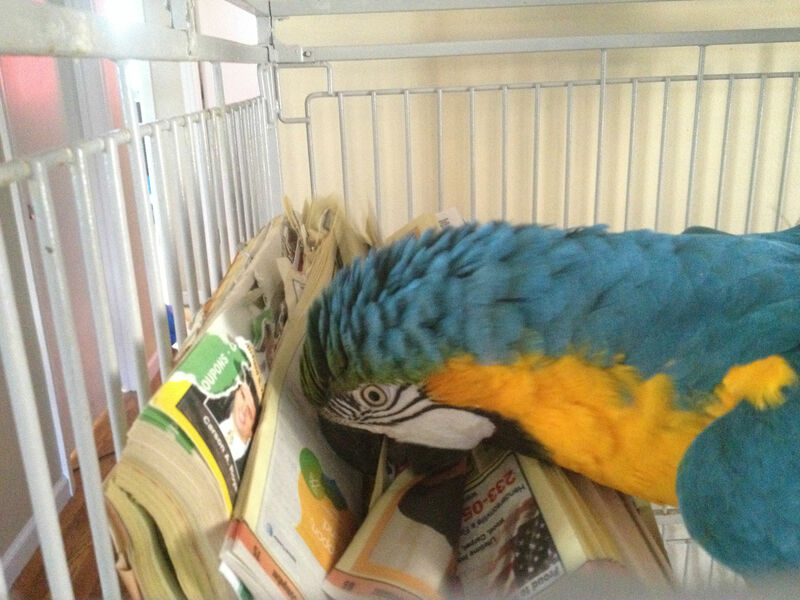 If you have birds that go through phonebooks quickly, drill a few extra so you can quickly refill this toy later. 3. 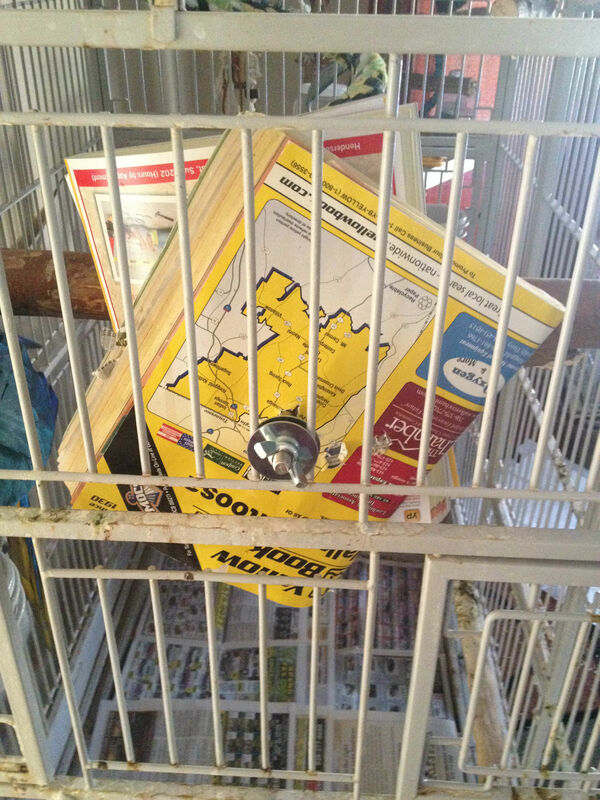 Thread the phonebooks onto the bolt. Now place the nut on the bolt and screw until you are at the end of the threads. See how easy this is? 4. Go to your birds cage. To attach to the cage, you want the bolt end inside the cage. The end with the nut will be touching the side of the cage. Place a washer in front of the nut. Place between the cage bars. Place the other washer on the outside of the cage bars. Now, take your wing nut and screw securely and tightly to the cage. Make sure the bolt is steady and isn’t bending your cage bars. You want to make sure of the stability of the bolt as chances are at some point your bird will attempt to use this as a perch. 5. Sit back and watch your bird go to town! I put one of these in each of my large bird cages and my blue and gold macaw, Lucky, is thrilled. She has already made short work (and a big mess) of her phone book, but thankfully the mess is contained inside of her cage! If you run out of phone books or catalogs you can also use this to attach cardboard boxes, toy parts, coffee filters – almost anything! Feel free to size down the bolt size for smaller birds.